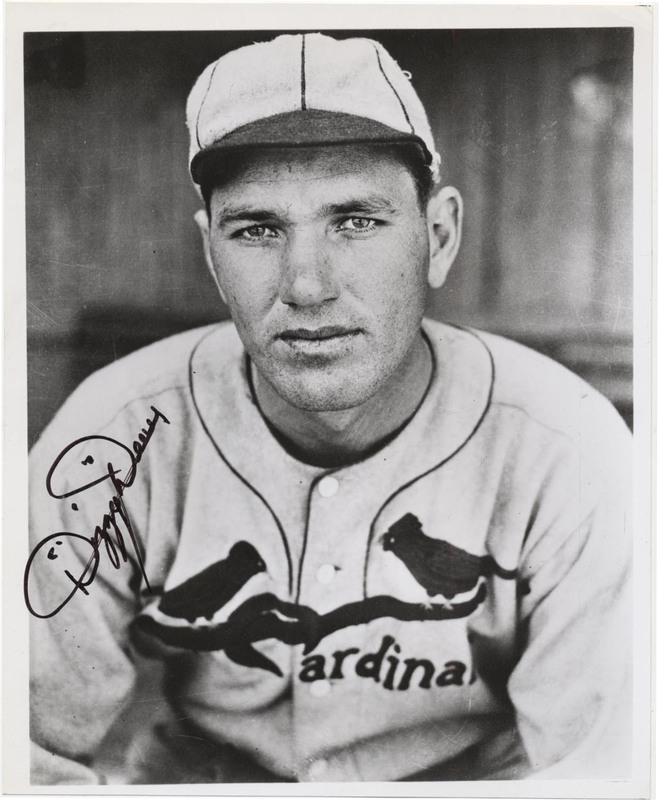 Among the largest Dizzy Dean signatures you will find on an 8x10 photo, this is a huge and terrific black sharpie exemplar. The photo itself is a handsome b/w portrait of the beloved Dean. JSA LOA.